Ignatius Perrish is a poor soul indeed. Not only is he stuck with that name, the entire town in which he lives (outside of his brother and a pair of childhood friends) is irrevocably convinced that he murdered his girlfriend. His day really seems like it couldn’t get any worse, until he sporadically develops a pair of horns on his head that make everyone around him incredibly susceptible to their most base urges and sins. This leads to everyone being totally open with Ig, a fact he uses to help uncover his girlfriend’s true murderer. 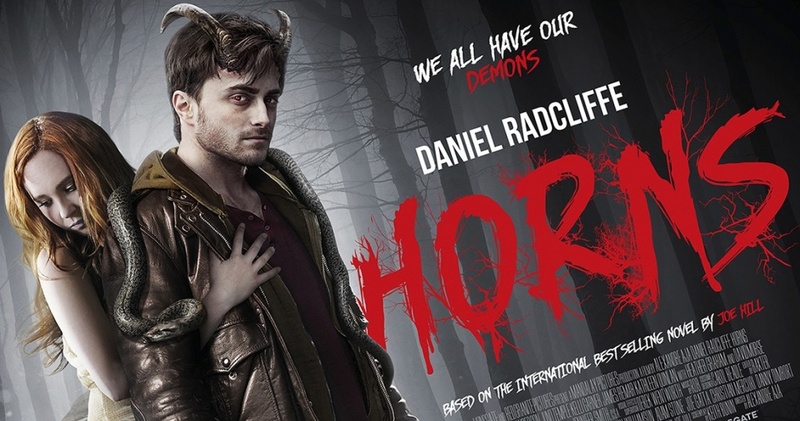 The premise makes both for some dark laughs and even darker drama, but anyone expecting the horns to factor into the plot as anything other than a device for progression will be disappointed. Maybe it’s just my atheistic side talking, but the whole supernatural Heaven-Hell aspect of the movie needed way more explaining then it got. The horns themselves aren’t too bad, I guess, since one of their properties seems to be making people complacent with their presence on Ig’s head. It’s when other elements crop up that some express questions and answers where sorely needed. To give an example without spoiling too much, it’s left for the audience to assume that God gave Ig the horns as a way to seek out divine justice, and yet a cross that embodies faith in God (and is thus presumably powered by God) shields one from the horns’ influence. That just strikes me as counterproductive. The third act is where the plot kind of falls apart, as a lot of the revelations and actions characters take feel contrived and stupid. There are a lot of “just because” moments. You know, where it seems like people say and do things for reasons that are really shallow on a writing level. It’s to the point that certain moments (namely when the “Cruel to be Kind” trope gets put into play) actually had me rolling my eyes. This might just be own my tolerance for bleakness, but the last third is also when I feel the movie gets dark to the point of not being much fun. It’s not that there’s anything too gory, or anything that makes it visually unpleasant, but by the time Ig gets the Harvey Dent treatment, I honestly feel like the movie gets kind of hard to watch. If you don’t like stories where sympathetic characters just do not ever catch a break then this probably isn’t for you. First, allow me to echo absolutely every other review of this film by praising Daniel Radcliffe. He and just about every other actor are what makes the first half of the movie really enjoyable, and not once did I see Harry Potter in this performance. I say “just about” every other actor, because after a certain point I really have to question what the direction was for Max Minghella’s Lee, who can get to immersion-breaking levels of over-the-top. In terms of characterization, you can likely get a good pin on nearly everyone’s personality, and the horns make it so that everyone is by necessity flawed and human (even if some characters are, again, too over-the-top for me to take seriously). Though this is something of a double-edged sword, as lots of characters are just totally forgotten about, and the ending provides no closure at all for any of the supporting cast. Theres a lot that I can’t say without giving away plot-details, so let’s just sum it up by saying the cast is solid, but nothing great. Likewise, the direction is nothing to sneeze at, but also not something I’m going to rave about. Like the score, there are only a few moments where it’s really stands out. The effects are pretty good, but used sparingly. 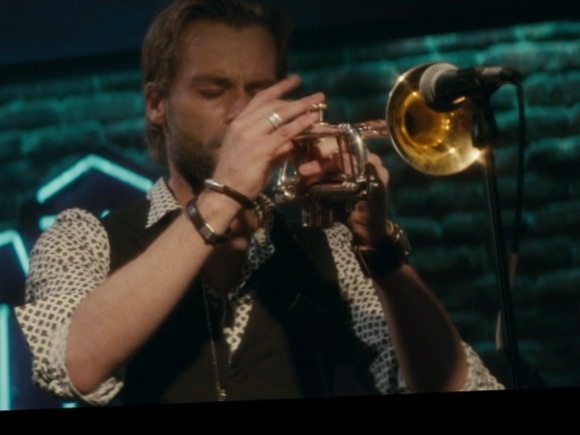 Back on the subject of music though, one thing I will say is that Ig’s brother plays a mean trombone. This movie is definitely a mixed bag. It’s got great performances, an interesting concept, and nearly every element is perfectly serviceable. It’s just a shame that the very questionable writing and unendingly bleak tone makes this one I have little to no desire to rewatch or wholeheartedly recommend. Posted on February 25, 2015, in Movie Reviews, Other Movies. Bookmark the permalink. Leave a comment.